The Brussels Expo group includes several subsidiary companies enabling the group to diversify its activities between three industries (Fairs and Shows, MICE and Entertainment) and two core businesses (Venue Management and Organisation). Brussels Exhibition Centre asbl is the cornerstone of the Brussels Expo group, founded after the Universal Expo of 1935. Its goal is to promote and develop a meeting venue highlighting economic, commercial, industrial, scientific, cultural or entertainment activities. Brussels Expo is the Belgian market leader in terms of exhibition size. Its responsibilities include property management and related services to the exhibition halls, the Palais 12 (concert hall) and the concert hall ‘Madeleine’. Since 2011 the Brussels Expo group has taken an important step in its development strategy, adding a strong Entertainment stream to its Fairs and Shows and MICE businesses. This strategy creates complementary activities, enabling it to intensify the use of facilities in under-exploited periods such as school holidays and evenings. This strategy also provides the group with exposure to industries with different economic cycles and audiences. 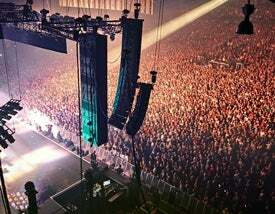 Our concert facilities include PALAIS 12, and La Madeleine, together with the Brussels Summer Festival. The NEO project in Brussels Expo’s neighbourhood represents tremendous opportunities for Brussels Expo Group to portray itself to the public as a favourite location to enjoy any kind of event. It will allow Brussels Expo to operate competitively in the MICE sector, bringing the group a third infrastructure, which is complementary to its first two activities – an international convention centre.